- Canon DSLR.... love this thing! So those are my "essentials". 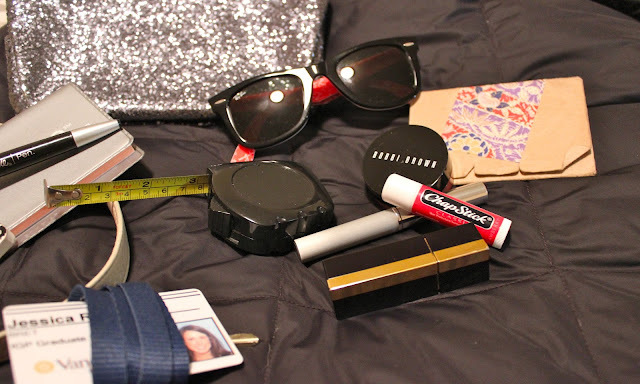 Do you carry your whole life around in a large purse? Or stick to the ID, lipstick, and phone in a clutch? hahaha I LOVE this! I totally hear ya on that one. 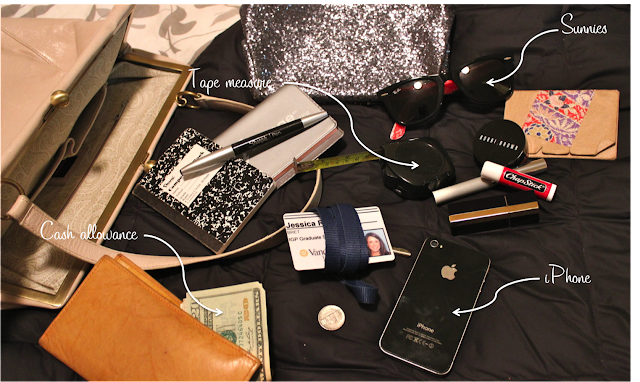 Half my life is in my purse... And that's not even counting if you expect for me to look halfway decent! I'm glad I'm not the only one carrying cuticle cream... I mean it IS a necessity, people! Ha-ha I hear ya- I have to carry around a laptop during the week days... I need myself a real bag. That is so weird - I have a pair of RayBan sunglasses just like those and I found mine too, but in Colorado not Texas. Do you think there is someone who goes around the country like Johnny Appleseed but instead of scattering apple seeds they scatter Aviators? I agree - the bigger the bag, the better! 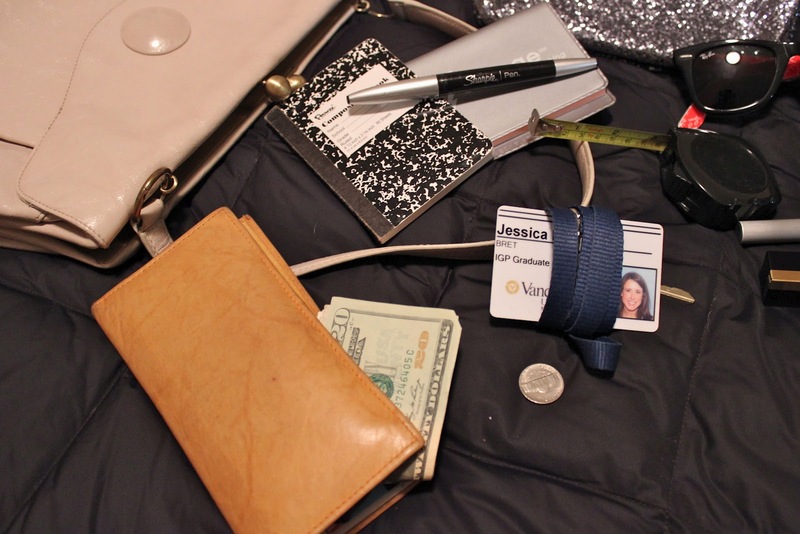 Although, for work I have a small clutch...everything else goes in my laptop bag.